Former Vice President Joe Biden joined thousands of people at a Labor Day parade in Pittsburgh, offering attendees the chance to joke that he’s running—literally—for president while emphasizing the importance of the upcoming midterm elections. Several people posted photos and videos of Biden at the event, including Politico reporter Edward-Isaac Dovere, who posted a video of the former vice president jogging down the street, prompting the joke that he’s running. 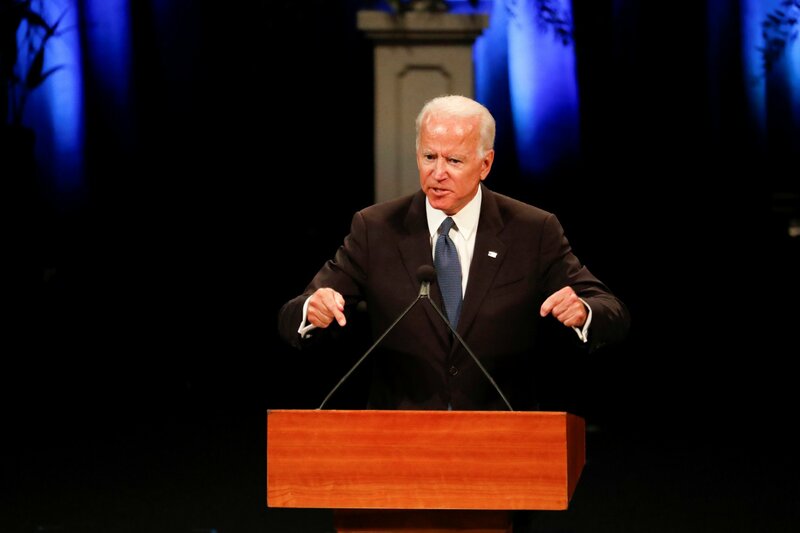 Biden hasn’t ruled out a possible bid for the Oval Office, and in July he told CNN’s Juan Carlos, who was moderating a forum in Bogota, Colombia, that polling data showed he could beat President Donald Trump. He acknowledged that the data might not mean anything and said he knew he had to make up his mind by January. Biden said that he was going to hold an “altar call” after the midterms in November to gauge how likely his campaign would prove successful if he did run. While November’s midterms will be a telling moment for the vice president, Biden explained that the election had a greater significance. Biden also addressed the upcoming Senate confirmation hearings of Judge Brett Kavanaugh, Trump’s pick for the Supreme Court, and told MSNBC that Democrats should stay in the room, demand answers and keep pointing out that they hadn’t received the information that they'd requested. Biden’s appearance at the parade came days after he eulogized Senator John McCain during a memorial service in Arizona on Thursday. A reporter praised his eulogy, and asked what he hoped McCain’s message showed the country.